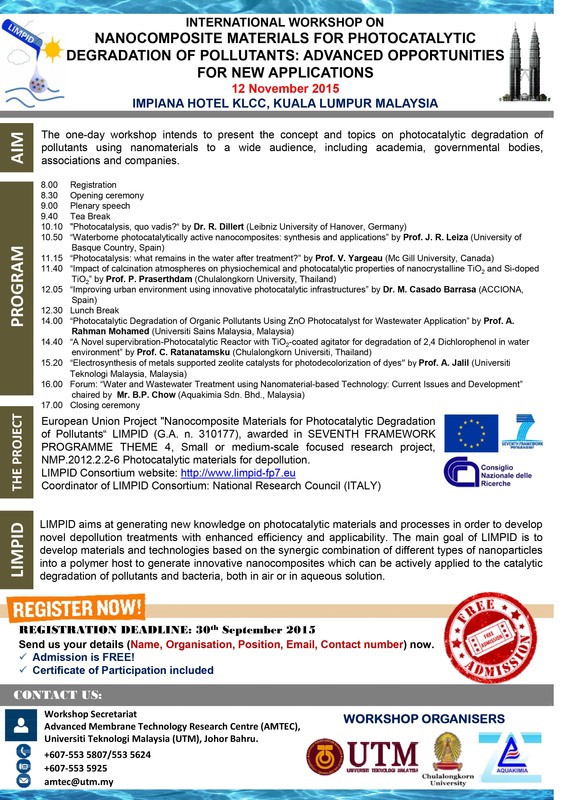 LIMPID dissemination workshop on “Nanocomposite Materials For Photocatalytic Degradation Of Pollutants: Advanced Opportunities For New Applications” will be held on 12 November 2015 at Impiana Hotel Klcc, Kuala Lumpur Malaysia. 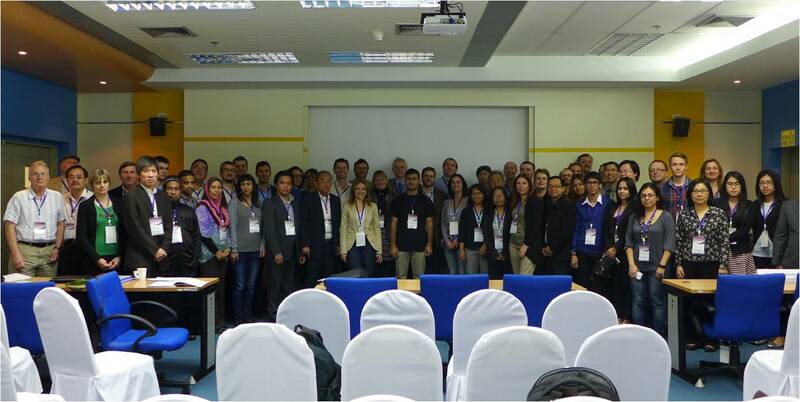 The Workshop intends to present the concept and topics on photocatalytic degradation of pollutants using nanomaterials to a wide audience, including academia, governmental bodies, associations and companies. LIMPID project has been presented at NANOTEXNOLOGY 2015 International Conferences & Exhibition on Nanotechnologies & Organic Electronics 4-11 July 2015 in Thessaloniki, Greece. scientific responsible for UTM beneficiary in LIMPID Project, has received 2014 Merdeka Award. player in all key sectors from science and technology to the arts. Congratulation to Professor Dr Ahmad Fauzi Ismail. 21-22 January 2014 – Bangkok Thailand in the frame of ASEAN-EU STI Days"
European Projects funded within the call "Photocatalytic materials for depollution" European Project NMP 2012.2.2.2-6 Specific International Cooperation Actions (SICA) to promote the participation of emerging economies and developing countries: ASEAN countries.